Before reading on: watch out! There are MAJOR SPOILERS below for Seasons 1 & 2 of Agents of S.H.I.E.L.D and various Marvel Comics storylines. If you're all caught up and want to know more... then you're in the right place. Read on! The first season of Marvel's Agents of S.H.I.E.L.D. was lackluster enough for 2/3rds of its run that I can't imagine a reason for many viewers to stick around unless they were really devout Marvel Comics fans. The show's second season is a massive improvement... but it's also so steeped in Marvel lore that even those aforementioned devout fans must feel lost some of the time. And yet, I'm told the show has a viewership that actually doesn't hail from comics fandom -- I'm not sure why, but apparently they exist. If so, I can only assume many of them were a bit perplexed at last week's winter finale (Agents will return in March, with the Agent Carter prequel-miniseries taking over its slot starting in January), which was comprised almost-entirely of "big reveals" about various ultra-obscure fragments of the Marvel Comics arcana having been hiding in plain sight this whole time. Cool stuff, providing you recognize who and what was being trotted out -- but among non-fans, I can only imagine a succession of "Huh?" Granted, if you've been following our Agents of S.H.I.E.L.D. recaps up to this point (if you're not caught up, catch all of our reviews here), the big unveilings likely made a sort of inevitable sense. But in case you haven't (or just wanted a shortcut) here's the broad-strokes of what you're meant to take away from all of last week's fireworks and namedrops. 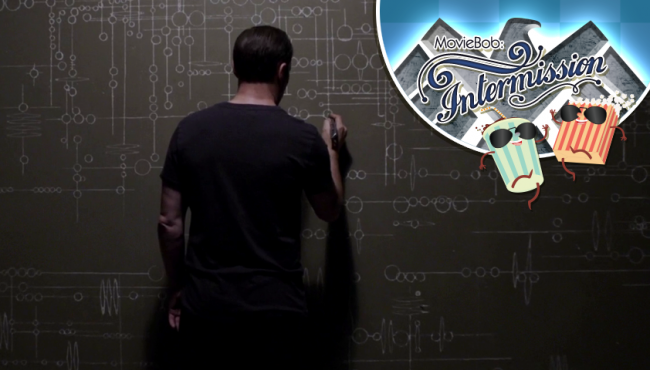 Much of season 2 has been framed around S.H.I.E.L.D. and HYDRA fighting for control of an alien relic called The Diviner, which needs to be brought to a temple in the buried prehistoric alien city in Director Coulson's post-resurrection visions to do... something. "Something" turned out to be unfolding to reveal a set of blue crystals, which blasted Skye, Raina and Agent Trip with CGI smoke. Trip, like every other normal human who'd so much as touched The Diviner, promptly turned to ash -- but Raina and Skye (both of whom had been previously revealed as not-entirely-human) found themselves encased in "stone" cocoons from whence they emerged... "changed." Raina appears to have metamorphosed into some sort of reptile-like creature, while Skye's body appears to be emanating some kind of energy-aura. So what happened? Those blue crystals are Terrigen Crystals, which produced Terrigen Mist, making this the final piece of the puzzle revealing that -- yes -- this has all been about introducing Marvel Cinematic Universe audiences to The Inhumans. This is a fairly big deal, because while The Inhumans have played key roles in various big moments in Marvel Comics history even as they remained semi-obscure in and of themselves, they're set to become an integral part of Cinematic Universe continuity as a replacement for mutants -- which Marvel can't use because Fox still owns the movie rights to everything X-Men. In the traditional setup from the comics (which now appear to be more-or-less the same here), "Inhumans" are the descendants of prehistoric humans who were subjected to experiments by an alien race known as The Kree (Ronan the Accuser's people from Guardians of the Galaxy.) Exposure to the Terrigen Mist triggers latent genetic alterations in the DNA of otherwise "normal" Inhumans, causing them to manifest a variety of superhuman powers and (as seems to be the case with Raina) occasionally mutate into strange, monster-like forms.